You want it to be sweet, salty, glossy, and thicker than soy sauce. But you don’t want it to come from a bottle. 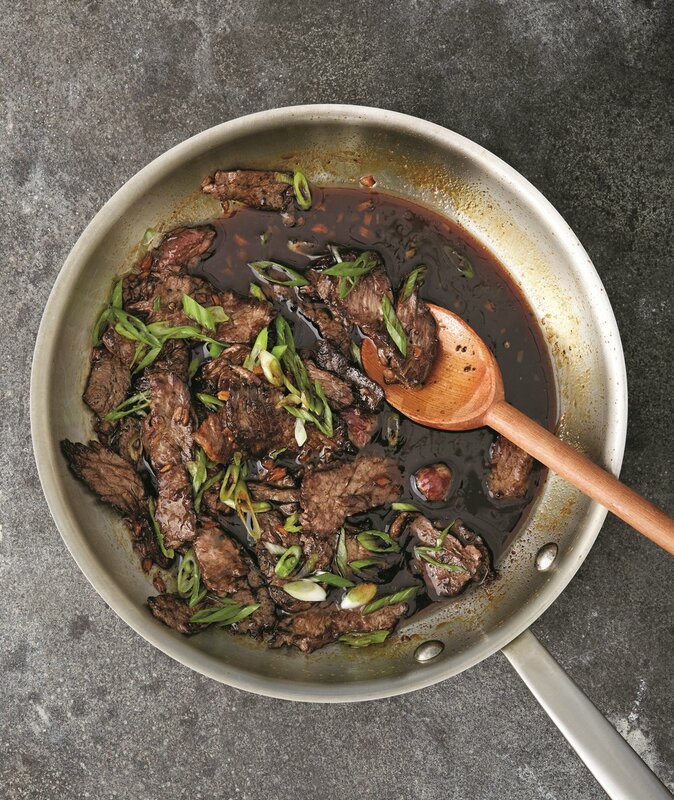 Skillet Teriyaki proves that searing meat on just one side is perfectly acceptable. This recipe also works for boneless, skinless chicken thighs or pork sirloin steaks, cut into narrow strips. 1. If you have time, put the steak in the freezer for up to 30 minutes. Put a large skillet over medium-high heat. Slice the steak against the grain as thin as you can manage. When the pan is smoking hot, add 1 tablespoon oil and swirl to coat. Add half the beef to the skillet, sprinkle with salt and pepper, turn the heat to high, and cook undisturbed until it’s browned on the bottom and releases easily from the pan, 3 to 5 minutes. Transfer to a bowl and repeat with the remaining tablespoon oil and the beef. 2. Add the garlic and ginger to the pan and cook, stirring frequently until soft, 2 to 3 minutes. Stir in the honey, soy sauce, and 1 ⁄ 2 cup water. Bring to a boil. Reduce the heat so the mixture bubbles gently and cook, stirring occasionally, until the sauce thickens and lightly coats the back of a spoon, 2 to 3 minutes. 3. Return the steak to the pan and toss to coat with the sauce. Garnish with the scallions and serve right away.